Saddle stitch booklets are simple to produce, cost-effective, and user-friendly. At BIP Printing Solutions, saddle stitch booklets are one of the products we offer our clients, and many find that this type of binding is perfect for their needs. Want to learn more? Contact us to get started! 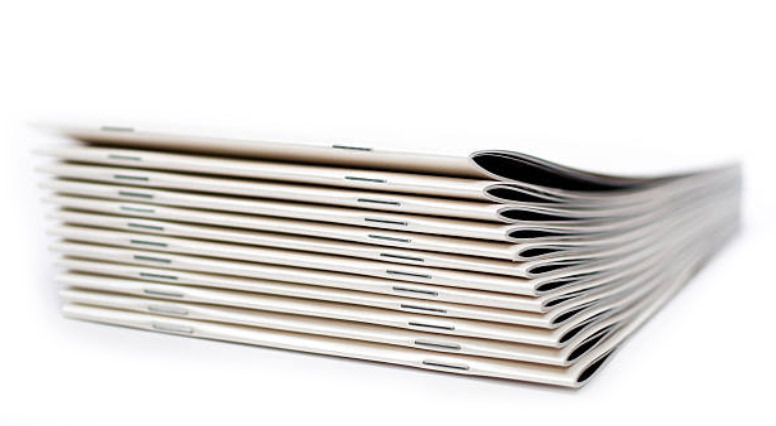 What are Saddle Stitch Booklets? You may be surprised to learn that saddle stitch booklets don’t actually contain any ‘stitches’ at all! Rather, staples do the binding, often with just two placed along the spine edge to hold the pages in place. Despite the simplicity of this binding method, there are plenty of advantages to saddle stitching. It’s not the right choice for every project, but saddle stitching can work well in many different situations. There are a few different reasons you may opt for saddle stitching on your next printing project. Every project has a financial component, no matter what the end goal of the print run may be. You have a budget to consider, and saddle stitching is perhaps the best way to protect that budget while having your print run completed. Typically, this is going to be the most-affordable binding method you can select. And, of course, that makes sense, when you think about what is involved. The pages need to be printed, organized, and stapled a couple of times to form the booklet. Specialized equipment is still required to do the job – equipment that BIP Printing Solutions has in-house – but this is a simpler option than many other binding methods you may consider. And, in almost every case, simple equals affordable. At BIP Printing Solutions, we specialize in taking on the large jobs that our clients may not be able to handle in-house. Saddle stitch booklets are great because turnaround time is speedy. There is significant flexibility with saddle stitch booklets in terms of the size of the finished product. In some cases, a saddle stitch booklet will be extremely compact, meant to fit in the user’s pocket while on the go. On the other hand, saddle stitching can be used for much larger publications, as with something that you would lay out on a table in front of you. There aren’t many binding options that can run the gamut from small to large quite as effectively and successfully as saddle stitching. 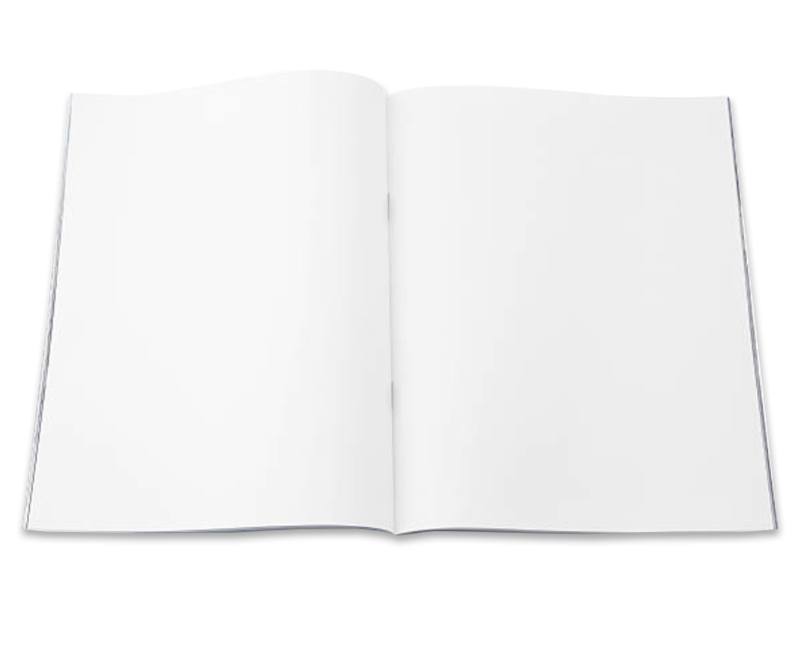 The design process of a saddle stitch booklet is rather simple. Since the booklet opens nicely when in use, the inside edge of the binding doesn’t have to be considered in the same way as it does with other binding options. If a binding is used that prevents the pages from opening fully, the designer plans accordingly to make sure nothing is lost. That isn’t such a concern with saddle stitching, and in fact, it’s easy to use images that run across from one side of a page to the other. Will your print run be shipped off to various locations once it is completed? If so, you will have yet another reason to favor saddle stitching. Since there is very little weight added to the booklets as a result of the binding process – just those staples – this is an efficient way to produce materials that need to be shipped. The booklets will effectively only weigh whatever the pages weigh, and they will be easily stackable inside boxes for transport. It is easy to love what saddle stitch booklets have to offer. They are simple to produce for a company with the right equipment and expertise. They offer an affordable printing solution while still creating a readable, professional document. Saddle stitching is used in a variety of markets for countless purposes, so be sure to consider this option when planning a big print run. For more information on the saddle stitching available from BIP Printing Solutions, please contact us today.